As we edge closer towards 100 years of BCA we remember the people who have gone before us and those who shared the vision of spreading the good news of Jesus Christ across our nation. 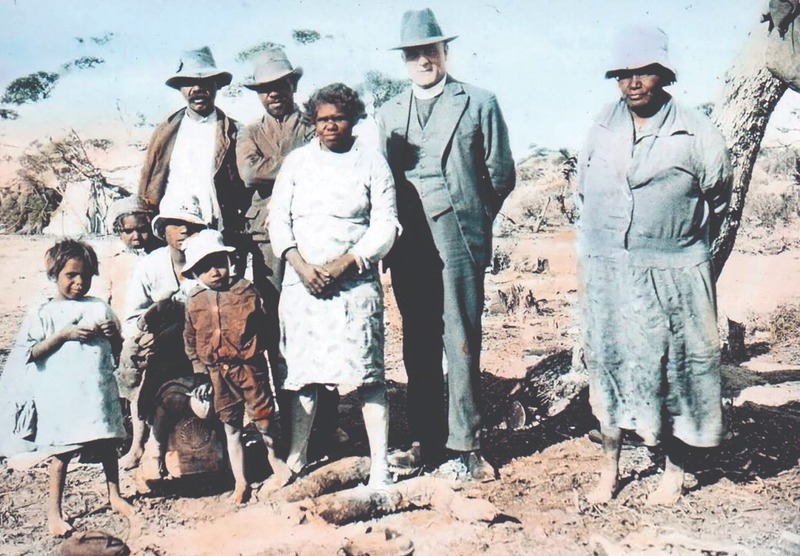 It was nearly twenty years after Federation that members of the Church of England in Australia felt that it was time to provide pastoral and spiritual care to the original inhabitants and new settlers located in the remotest parts of Australia. It was a wet night on 26 May 1919, when a Bishop, some clergy and a few prominent lay people gathered in the Chapter House at St Andrew’s Cathedral, Sydney to share a vision of sending men and women to the bush. So began The Bush Church Aid Society of Australia. BCA’s role grew and developed as different needs arose. Over the last century BCA has enjoyed responsibility for ministries ranging from flying padres, church services, Scripture in schools and family counselling, to welfare and medical services. A number of our original ministries remain today in addition to new ministries that have been added over the years. We continue to investigate and embark on initiatives to further our mission in relevant and meaningful ways. Some of these exciting new initiatives will be announced as we commence our 100th year. Today Bush Church Aid continues to adapt its ministry to meet the needs of those it seeks to serve. In 2017 we employed Neville Naden as a full-time Indigenous Ministry Officer, looking to find ways to support Indigenous ministers and those ministering to Indigenous people. The basic characteristics of the men and women who serve Bush Church Aid – their great love of God, their unwavering determination and perseverance – have not changed in nearly 100 years. What a great celebration Sunday 26 May 2019 will be! All at BCA look forward to celebrating the men and women of God who have gone before us in the name of Christ. We want you to join in our celebrations. There will be special services at St Andrew’s Cathedral in Sydney and we have invited churches across the country to take part in BCA Sunday. We are in the process of putting together resources that you can use in your church, Sunday School or Bible study group. We hope you will join in on the celebrations. If you have some ideas on how you and your church can celebrate we’d love to hear from you!